While no one can predict the future with certainty, most experts expect to see modest growth in the U.S. housing market for the remainder of this year and next. Inventory will remain tight, mortgage rates will continue to creep up, and affordability will remain a major issue in many parts of the country. So what does that mean for home buyers and sellers? To answer that question, we take a closer look at some of the top indicators. There’s good news for homebuyers! In many markets across the country, prices have begun to stabilize after a period of rapid appreciation. Nationwide, home sales experienced a slight decline of 1.6 percent in the second quarter, primarily due to higher mortgage rates and housing prices combined with limited inventory. Experts predict that demand for housing will continue to outpace available supply, especially in the entry-level price range. “Today, even as mortgage rates begin to increase and home sales decline in some markets, the most significant challenges facing the housing market stem from insufficient inventory accompanying unsustainable home-price increase,” said National Association of Realtors (NAR) Chief Economist Lawrence Yun in a recent release. Still, there’s evidence that a modest rise in the rate of new building projects may be on the way. Freddie Mac predicts new housing construction will increase slightly after a stall last quarter.2 And a recent report by Freedonia Focus Reports forecasts an annual increase in housing starts of 2.4 percent through 2022, led by an uptick in single-family homes.6 The boost in inventory should help drive sales growth and relieve some of the pent-up demand in tight markets. While the current lack of inventory is generally preferred by sellers because it means less competition, a combination of high prices and rising interest rates has narrowed the pool of potential buyers who can afford to enter the market. Sellers should seek out real estate agents who utilize technologically-advanced marketing tactics to reach qualified buyers in their area. According to a recent report by Morgan Stanley, Americans are paying the most in monthly mortgage payments relative to their incomes since 2008.7 And prices aren’t expected to come down any time soon. “We believe that the current supply and demand environment will continue to push home prices higher, just at a decelerating pace,” said John Egan, Morgan Stanley’s Co-Head of U.S. Housing Strategy. The Federal Reserve has taken measures to help keep the housing market—and the overall economy—from overheating. It has raised interest rates twice this year so far, causing mortgage rates to surge in the first half of the year. The good news is, mortgage rates still remain near historic lows and a whopping 14 points below the recorded high of 18.63 percent in the early 1980s.8 Buyers who have been on the fence may want to act soon to lock in an affordable interest rate … before rates climb higher. WHAT DOES IT ALL MEAN FOR ME? If you’ve been waiting to buy a home, you may want to act now. A shortage of available homes on the market means prices are likely to keep going up. And a lack of affordable rental inventory means rents are expected to rise, as well. If you buy now, you will benefit from appreciating property values while locking in an historically-low interest rate on your mortgage. Waiting to buy could mean paying more for your home as prices increase and paying higher interest on your mortgage as rates continue to rise. And if you’re in the market to sell your home, there’s no need to wait any longer. Prices have begun to stabilize, and rising interest rates could decrease the number of available buyers for your home. Act now to take advantage of this strong seller’s market. While national real estate numbers and predictions can provide a “big picture” outlook, real estate is local. 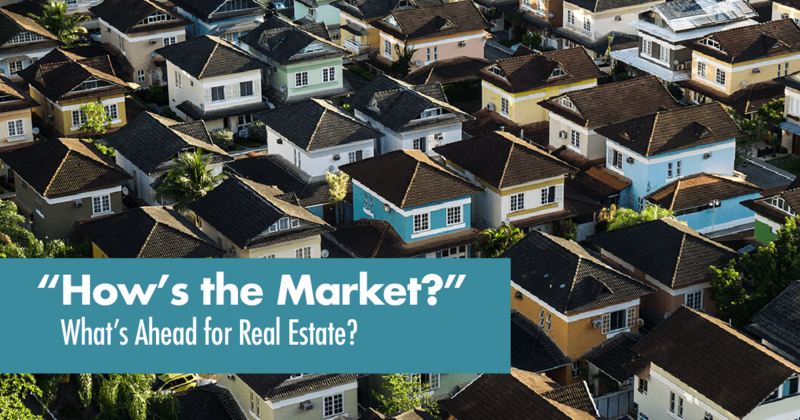 As local market experts, we can guide you through the ins and outs of our market and the issues most likely to impact sales and home values in your particular neighborhood. If you have specific questions or would like more information about where we see real estate headed in our area, let us know! We’re here to help you navigate this changing real estate landscape. She specializes in residential sales and enjoys working with both buyers and sellers. Always working to expand her knowledge to better serve her clients and stay current with industry trends. She is a long time resident of Tarrant County and associated with Keller Williams Realty as a Real Estate Agent. Lisa is excited about helping you get your home on the market and sold for you or to help you find that special place you will call home. Contact Lisa for all your Real Estate needs.